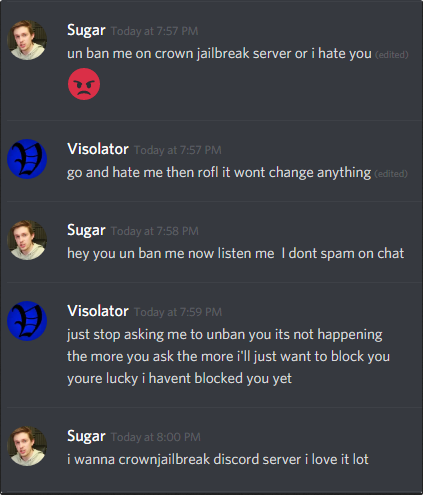 I hate to be that guy but Sugar has been constantly bothering me about unbanning her from multiple servers (and she has been randomly mentioning me on some servers -- not as frequent now) she has been banned from and has been trying methods to make me unban her "or else" something will happen. I am just irritated at this point and somehow have not blocked her yet -- I don't think I have anyone blocked right now even though there should be a few people, not the point though. I have tried my best to be patient with her but nothing works anyway, she just avoids the questions completely. 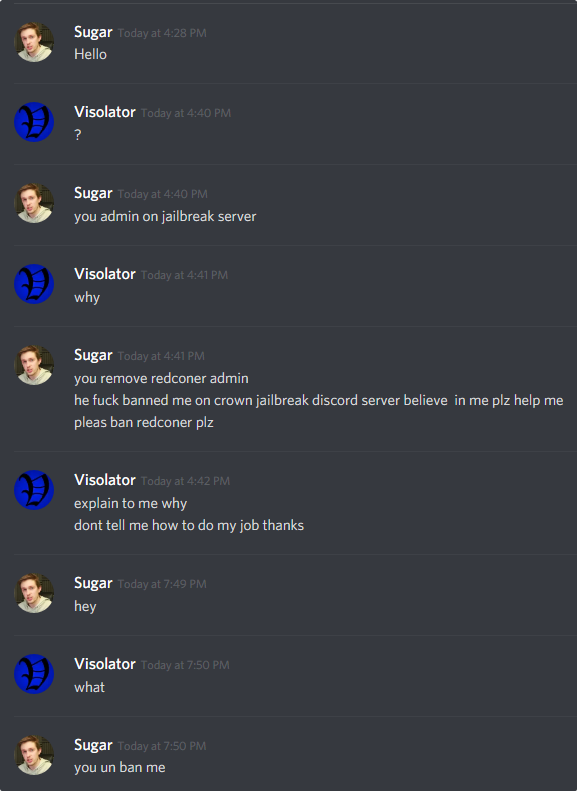 As I have seen from discord channels such as Blockland Glass and Jailbreak, she has been pretty annoying to people and even saying things she should not, I do not have proof of this currently but veterans on this forum should help back up that information even before Blockland Glass was a thing. She constantly PM'd me back when RTB was still around and would not leave me alone. I am sure she is still doing that to tons of people and progressively getting worse. She sometimes threatens or just gives you a big "forget you." I still have no idea why I have not blocked her yet, and I probably will keep forgetting -- but what I do recommend is remove her from your servers or you'll get endless PMs like this if you're the staff on anything -- or she'll just randomly bother you. Not for me. She always messages me even if I ignore her. 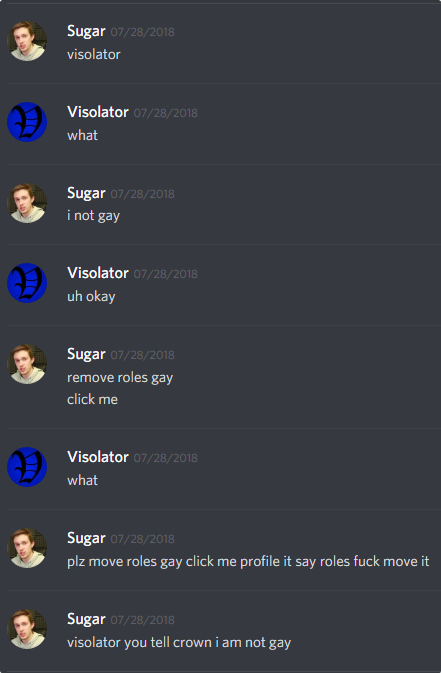 It's worse if I am a moderator on any server. Got a different friend request, not 100% sure if it is her. Real gamers stand up for their fellow gamer girls..... Even if they have autism! hey watch your mouth I'm on Skype right now!